At Windows, Walls & More, we offer the complete line of Hunter Douglas window fashions, including the latest trends in window fashions and the high-end exclusive Alustra® Collection. Our Hunter Douglas Gallery store in West Bloomfield features many functional full-size displays that let you see, touch and compare products and features first-hand. Shutters. Custom shutters are our specialty. 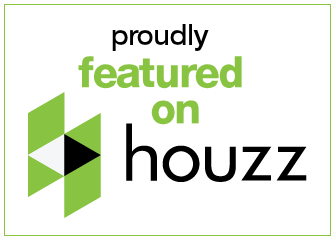 Our large variety of Hunter Douglas shutters includes plantation shutters and other styles made from hardwood, polysatin or composite, or long-lasting hybrid material. Blinds. 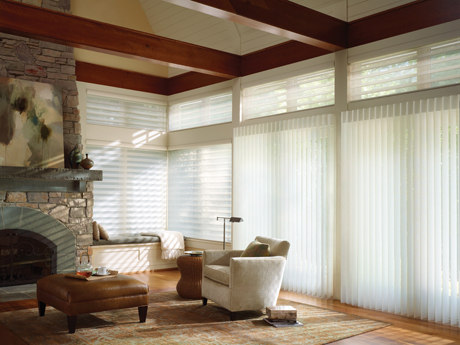 A classic favorite, Hunter Douglas blinds give you optimal control over light and privacy. Our horizontal and vertical blinds come in a variety of materials, such as sheer, fabrics, vinyl, faux wood, wood and aluminum mini blinds. Shades. From elegant roman shades to contemporary honeycomb cellular shades to traditional roller shades, we carry the full collection of Hunter Douglas window shades. We’re also proud to be a Hunter Douglas Authorized Service Center offering both window treatment repair and a full range of window treatment motorization services. We offer the latest advances in window treatment motorization, including 2.1 Platinum Technology for blinds and shades. 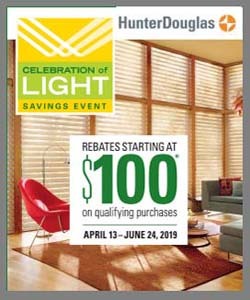 Please visit our Hunter Douglas Gallery website for more details.